Fully redesigned this year, it offers a new system called G-Vectoring Control, which aims to improve vehicle stability and the occupant comfort in different driving situations, such as on the highway and in the city at low speeds. Interior space is an important consideration for many consumers, and this is probably why the compact SUV segment and the subcompact SUV segment are growing. Mazda is well aware of the situation, and the Japanese manufacturer has developed a full range of versatile vehicles that offer plenty of cargo space. There are several spacious vehicles in the new Mazda vehicle lineup, but within that lineup are three that really stand out. If you are looking for a vehicle that offers plenty of cargo space, the following 2017 Mazda models are for you. The 2017 Mazda3 Sport is the hatchback version of the Mazda3 family. Fully redesigned this year, it offers a new system called G-Vectoring Control, which aims to improve vehicle stability and the occupant comfort in different driving situations, such as on the highway and in the city at low speeds. It still comes with either a 2.0-liter four-cylinder engine developing 155 horsepower, or a 2.5-liter four-cylinder engine developing 184 horsepower. But it’s in the trunk that you see the most important and notable differences between the 2017 Mazda3 and the 2017 Mazda3 Sport. The latter offers 572 liters of cargo space with all seats in place, and 1,334 liters with the rear seat down. This is an ideal choice if we are looking for a versatile vehicle without going for a sport utility vehicle. 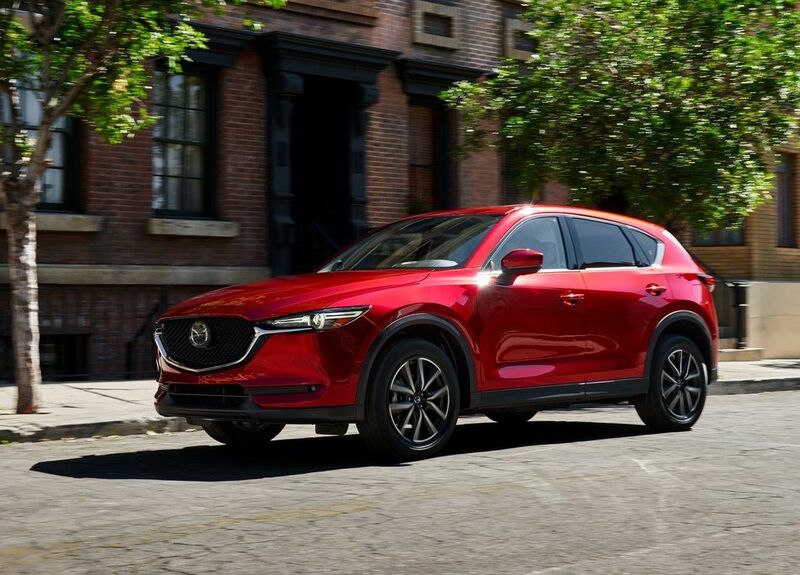 Like the other two models on this list, the 2017 Mazda CX-5 has been completely redesigned this year. This new generation offers a sportier design, a higher-end cockpit and new security and connectivity technologies. The engines remain the same as the older generation, except for the fact that a diesel engine will join the lineup later this year. The dimensions have not changed much compared to the previous generation, which means that the 2017 Mazda CX-5 offers nearly 1,000 liters of cargo space with all seats in place, and 1,835 liters with the rear seats lowered. The new Mazda CX-9 offers an extensive list of features and a high-end version that could compete with many luxury midsize SUVs. Under the hood, the CX-9 is now equipped with a very fuel-efficient four-cylinder engine that develops 227 horsepower and that can tow 3,500 pounds. It offers an average fuel consumption rating of only 8.5 liters per 100 kilometers on the highway. In addition to all this, the 2017 Mazda CX-9 offers three rows of seats and more than 1,000 liters of cargo space when you lower the rear seat. Discover the full range of Mazda sport utility vehicles today at Guelph City Mazda!